Dishonored 2 for PS4, PC and Xbox One is released on November 11, 2016 in both physical and digital format. Created by Arkane Studios and edited by Bethesda Softworks, Dishonored 2 is a first-person action adventure set 15 years after the events on Dishonored (2012). After the defeat of Lord Regent, the fearsome plague has passed into history and a usurper from another world has been seized by the throne of Empress Kaldwin. The future of the islands hangs in the balance. We will travel beyond the legendary streets of Dunwall to Karnaca, a once dazzling seaside town, which houses the key to returning Emily to power. Our goal is to recover what belongs to him by right. In this sequel, we can control both Corvo Attano and Emily Kaldwin, each having their own abilities, powers and style of play (one more focused on stealth and one on direct combat). 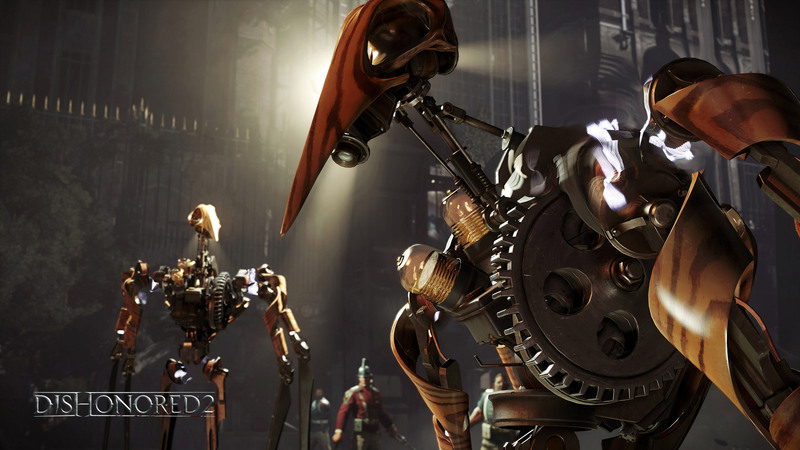 According to our way of playing on Dishonored 2, the plot is taking shape, just as it happens in the first Dishonored. Apart from the standard edition, GAME exclusively markets the collectors edition of Dishonored 2. This includes the game, a code to download Dishonored: Definitive Edition (the remastering of Dishonored), the digital pack Imperial Assassin, metal box, Karnaca, replica of Emily Kaldwins ring next to her exhibition box and a reproduction of the 34cm tall Corvo Attano mask along with a stand.